With just one race, Anthony Schwartz opened up the possibility. 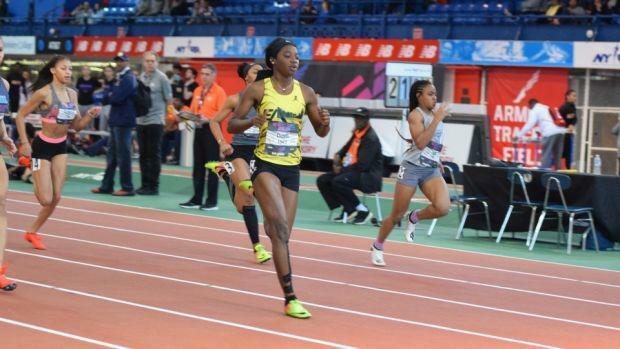 The Plantation American Heritage (FL) High senior went a facility record of 6.63 seconds at the Armory on Saturday in the preliminaries of the 60m at New Balance Nationals Indoor to set up two more interesting rounds to follow on Sunday. Can Schwartz break the national record of 6.57, which was set by Kentucky's Casey Combest in 1999? He's just 0.06 seconds away. Perhaps Schwartz just gave his first indication he's ready, as he leads a talented field that includes Mario Heslop (6.72), Gatlin Lawson (6.79), Brendon Stewart (6.81) and many more. And interesting also to note is the conversion for Schwartz's time to the 40-yard-dash. Considering Schwartz is a dual-recruit for Auburn University -- he's heading to the Tigers next fall to play football and run track -- we decided to see just how fast that would be. And it turns out, that run would tie the NFL Combine record of 4.22 seconds, which was achieved by John Ross in 2017. Check out our conversion story a few weeks back. Stay tuned for more on Schwartz. This story is only beginning. Sunday's sprint finals should be downright electric. On paper, it has evolved into what seems like two-girl race between Gainesville (FL) High freshman Tamari Davis and Dublin Cofflin (OH) High senior Abby Steiner. Check out these two times. Which belongs to whom? They're almost identical, but the first belongs to Davis and the second belongs to Steiner. On Sunday, perhaps either could win either race. And in the boys 200/400 field, things have gotten super interesting as well. 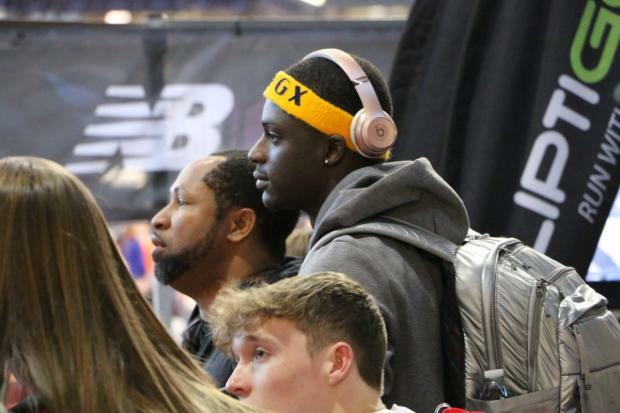 Miami Gardens Express (FL) athlete Tyrese Cooper finds himself in both finals after perfunctory outings on Saturday, including a third-ranked 200m time of 21.36 seconds and a second-ranked 47.54 time in the 400m. You have to believe that Cooper is going after both wins on Sunday -- especially considering the last time he faced Brian Herron, at the VA Showcase in January, the Georgia athlete handed him a loss in the 200m. But the 400m will be nasty, too. The field is superb. In the 200m, it's going to be a tough go as well, if you consider the possibility of the winner needing to go under 21 seconds.